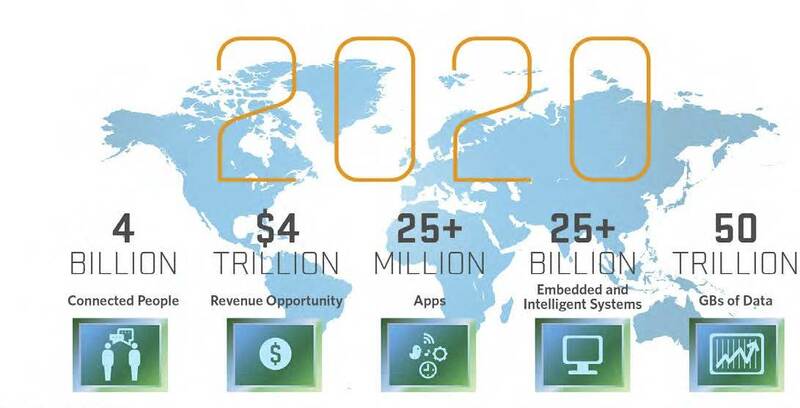 What Might a Snapshot of a Fully Integrated IoT World Look Like 5 Years from Now? As we’ve seen on our short journey through the IoT landscape in these posts, the ecosystem of IoT has been under development for some time. A number of factors are accelerating the deployment, and the reality of a large-scale implementation is now upon us. Since 5 years is a forward-looking time frame that is within reason, both in terms of likely technology availability and deployment capabilities, I’ve chosen that to frame the following set of examples. While the exact scenarios may not play out precisely as envisioned, the general technology will be very close to this visualization. Since IoT will be international in scope, and will be deployed from 5th Avenue in mid-town Manhattan to the dusty farmlands of Namibia, more than one example place setting must be considered for this exercise. In order to convey as accurate and potentially realistic a snapshot as possible, I’m picking three real-world locations for our time-travel discussion. 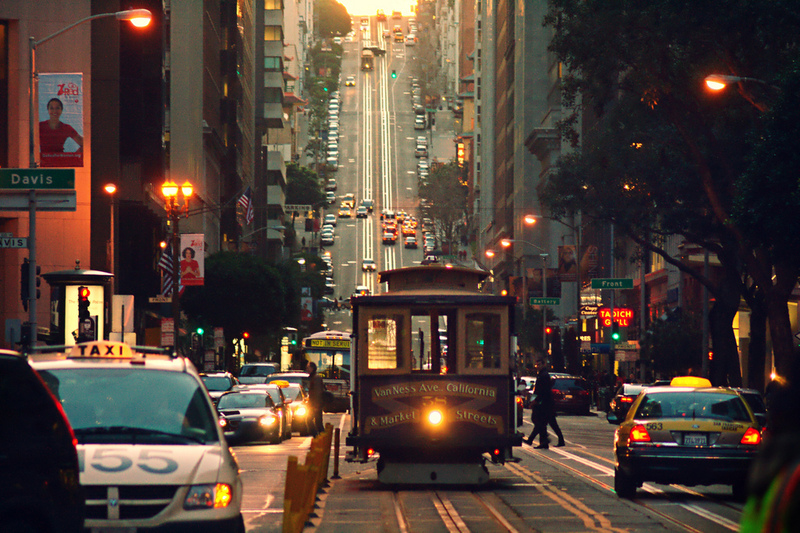 San Francisco, CA – USA. A dense and congested urban location, very forward thinking in terms of civic and business adoption of IT. With an upscale and sophisticated population, the cutting edge of IoT can be examined against such an environment. 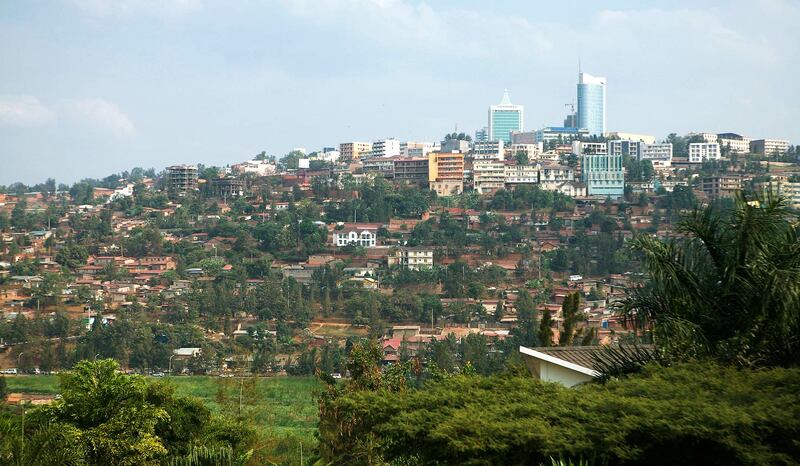 Kigali, Rwanda – Africa. 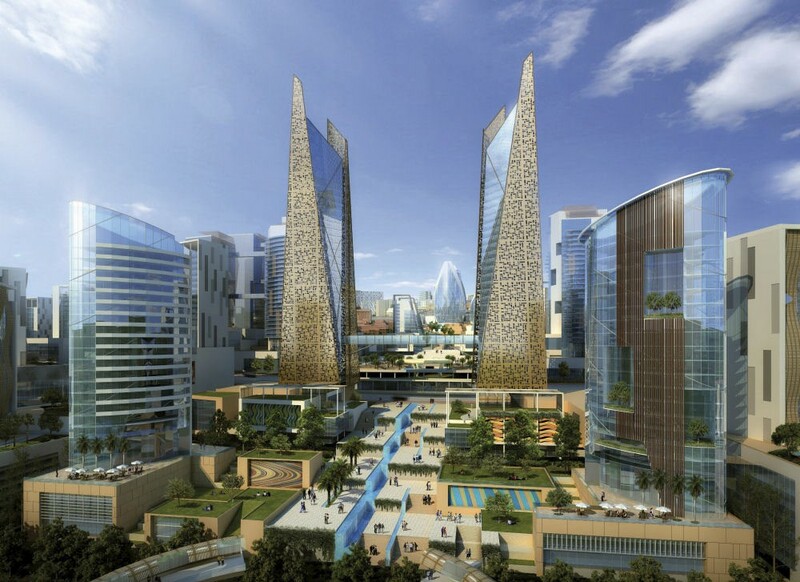 An urban center in an equatorial African nation. 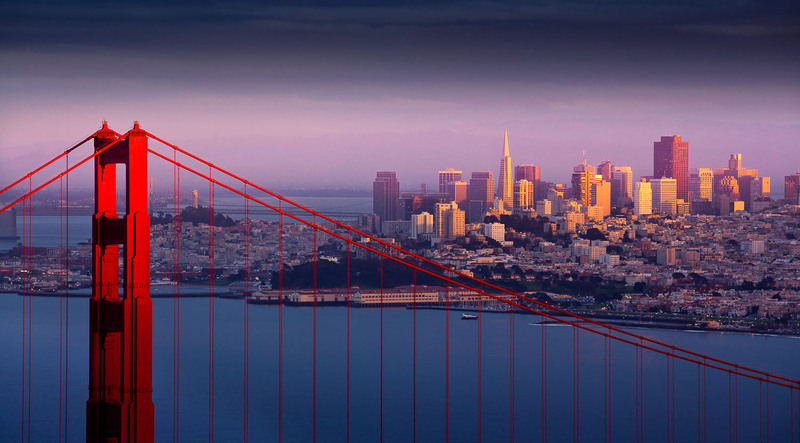 With the entire country of Rwanda having a GDP of only 2% of San Francisco, it’s a useful comparison of how a relatively modern, urban center in Africa will implement IoT. 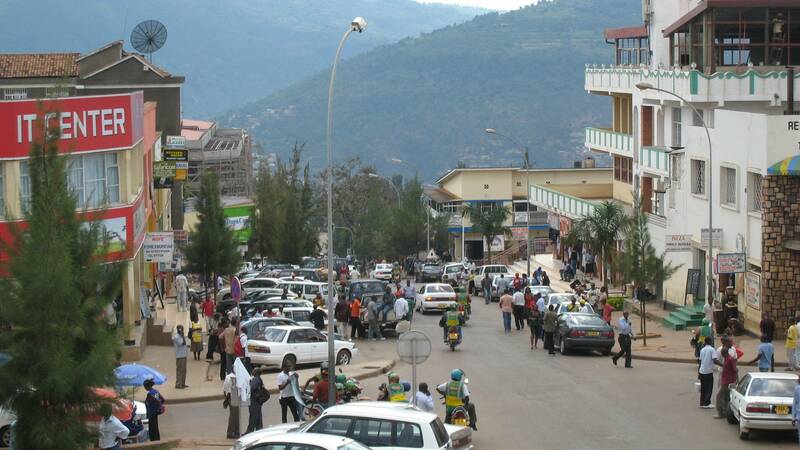 In relative terms, the local population is literate, skilled and connected [70% literacy rate, is reputed to be one of the most IT-centric cities in Africa, and has a 26% internet connectivity rate nationally (substantially higher in Kigali)]. I personally was one of the less than 40,000 users in the entire USA in 1984 when cellphones were only a few months old. As I drove on the freeways of Los Angeles talking on a handset (the same size as a landline, connected via coilcord to a box the size of a lunch pail) other drivers would stare and mouth “WTF? ?” But it aided my productivity enormously, as I sat through massive traffic jams on my 1.5 hr commute each way from home to work. I was able to speak to east coast customers, understand what technical issues would greet me once I arrived at work, etc. I personally couldn’t understand why we didn’t have 100 million subscribers by 1995… this was a transformative technology. There are currently about the same number of deployed IoT devices as people on the planet: 6.8 billion. The number of deployed devices is expected to exceed that of the human population by the end of this year. Approximately 10 billion more devices are expected to be deployed each year over the next 5 years, on average. The overall bandwidth of the world-wide internet will grow at approximately 25% per year over the next 5 years. The current overall traffic is a bit over 1 zettabyte per year [1 zettabyte = 1 million petabytes; 1 petabyte = 1 million gigabytes]. That translates to about 3 zettabytes by 2021. From another perspective, it took 27 years to reach the 1 zettabyte level; in 5 more years the traffic will triple! Broadband data connectivity in general (wired + wireless) is currently available to about 46% of the world’s population, and is increasing by roughly 5% per year. The wireless connectivity is expected to increase in rate, but even being conservative about 60% of the world’s population will have internet access within 5 years. The cost of both computation and storage is still falling, more or less in line with Moore’s law. Hosted computation and storage is essentially available for free (or close to it) for small users (a few GB of storage, basic cloud computations). This means that a soy farmer in Tihi, once connected to the ‘net, can essentially leverage all the storage and compute resources needed to run their farm at only the cost of connectivity. San Francisco We’ll drop in on the life of Samantha C for a few hours of her day in the spring of 2021 to see how IoT interacts with her life. Sam is a single professional who lives in the Noe Valley district in a flat. She works for a financial firm downtown that specializes in pricing and trading ‘information commodities’ – an outgrowth of online advertising now fueled by the enormous amount of data that IoT and other networks generate. Sam’s alarm app is programmed to wake her between 4:45 – 5:15AM, based on sleep pattern info received from the wrist band she put on before retiring the night before. (The financial day starts very early, but she’s done by 3PM). As soon as the app plays the waking melody, the flat’s environment is signaled that she is waking. Lighting and temperature is adjusted and the espresso machine is turned on to preheat. A screen in the dressing area displays weather prediction to aid in clothing selection. After breakfast she simply walks out the front door, the flat environment automatically turns off lights, heat, checks perimeter and arms the security system. A status signal is sent to her smartphone. As San Francisco has one of the best public transport networks in the nation, only a few blocks walk is needed before boarding an electric bus that takes her almost to her office. Traffic, which as late as 2018 was often a nightmare during rush hours, has markedly improved since the implementation in 2019 of a complete ban on private vehicles in the downtown and financial districts. 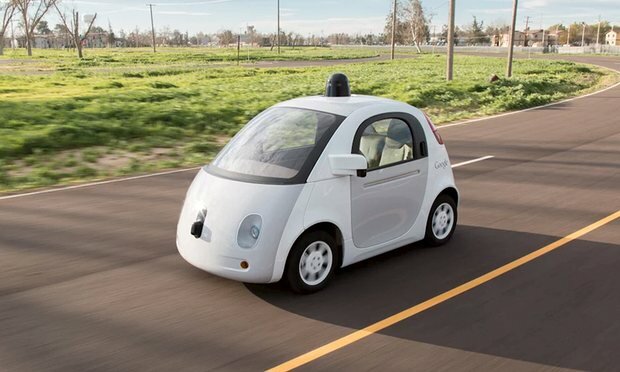 Only autonomous vehicles, taxis/Ubers, small delivery vehicles and city vehicles are allowed. There is no longer any street parking required, so existing streets can carry more traffic. 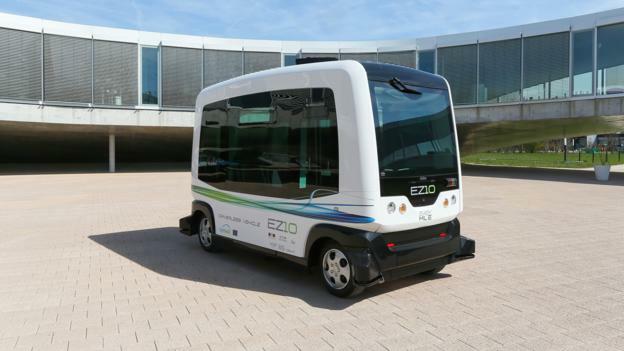 Small ‘smart cars’ quickly ferry people from local BART stations and other public transport terminals in and out of the congestion zone very efficiently. All vehicles operating in the downtown area must carry a TSD (Traffic Signalling Device), an IoT sensor and transmitter package that updates the master traffic system every 5 seconds with vehicle position, speed, etc. As Samantha enters her office building, her phone acquires the local WiFi signal (but she’s never been out of range, SF now has blanket coverage in the entire city). As her phone logs onto the building network, her entry is noted in her office, and all of her systems are put on standby. The combination of picolocation, enabled through GPS, proximity sensors and WiFi hub triangulation – along with a ‘call and response’ security app on her phone – automatically unlocks the office door as she enters just before 6AM (traders get in before the general office staff). 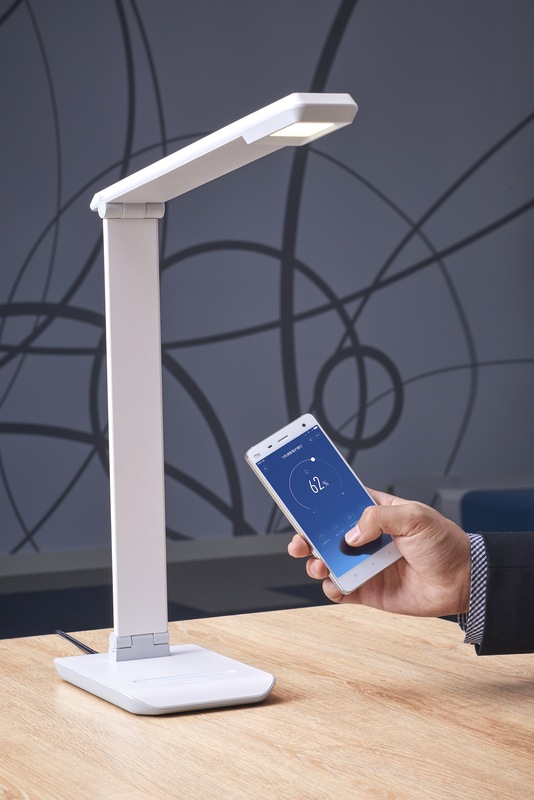 As she enters her area within the office environment the task lighting is adjusted and the IT systems move from standby to authentication mode. Even with the systems described above, a further authentication step of a fingerprint and a voice response to a random question (one of a small number that Sam has preprogrammed into the security algorithm) is required in order to open the trading applications. The information pricing and trading firm for which Sam works is an economic outgrowth of the massive amount of data that IoT has created over the last 5 years. The firm aggregates raw data, curates and rates it, packages the data into various types and timeframes, etc. Almost all this ‘grunt work’ is performed by AI systems: there are no clerks, engineers, financial analysts or other support staff as would have been required even a few years ago. The bulk of Sam’s work is performed with spoken voice commands to the avatars that are the front end to the AI systems that do the crunching. Her avatars have heuristically learned over time her particular mannerisms, inflections of voice, etc. and can mostly intuit the difference between a statement and question just based on cadence and tonal value of her voice. This firm is representative of many modern information brokerage service providers: with a staff of only 15 people they trade data based on over 5 billion distinct data sources every day, averaging a trade volume of $10 million per day. The clients range from advertising, utilities, manufacturing, traffic systems, agriculture, logistics and many more. Some of the clients are themselves other ‘info-brokers’ that further repackage the data for their own clients, others are direct consumers of the data. The data from IoT sensors is most often already aggregated to some extent by the time Sam’s firm gains access to it, but some of the data is directly fed to their harvesting networks – which often sit on top of the functional networks for the which the IoT systems were initially designed. A whole new economic model has been born where the cost of implementation of large IoT networks are partially funded by the resale of the data to firms like Samantha’s. We’ll leave Sam in San Francisco as she walks down Bush Street for lunch, still not quite used to the absence of noise and diesel smoke of delivery trucks, congested traffic and honking taxis. 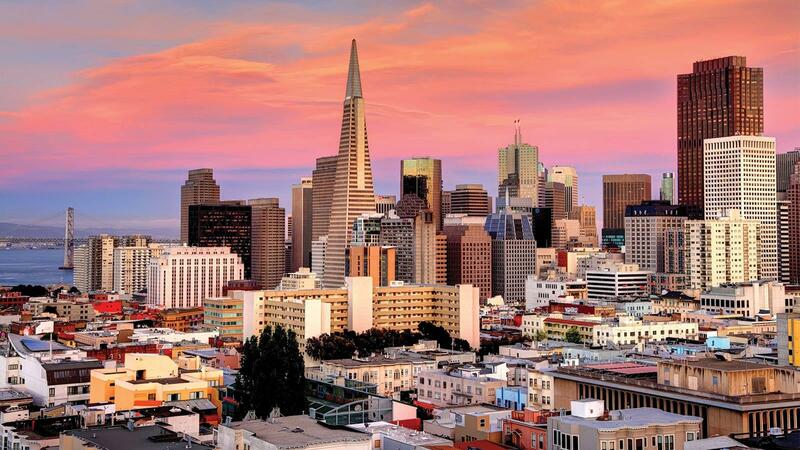 The relative quiet, disturbed only by the white noise emitters of the electric vehicles (only electrics are allowed in the congestion area in SF), allows her to hear people, gulls and wind – a city achieving equilibrium through advanced technology. Kigali This relatively modern city in Rwanda might surprise some that think of Rwanda as “The Land of a Thousand Hills” with primeval forests inhabited with chimpanzees and bush people. For this snapshot, we’ll visit Sebahive D, a senior manager working for the city of Kigali (the capital of Rwanda) in public transport. He has worked for the city his entire professional life, and is enthusiastic about the changes that are occurring as a result of the significant deployment of IoT throughout the city over the last few years. As his name means “Bringer of Good Fortune” Sebahive is well positioned to help enable an improved transport environment for the Rwandans living in Kigali. 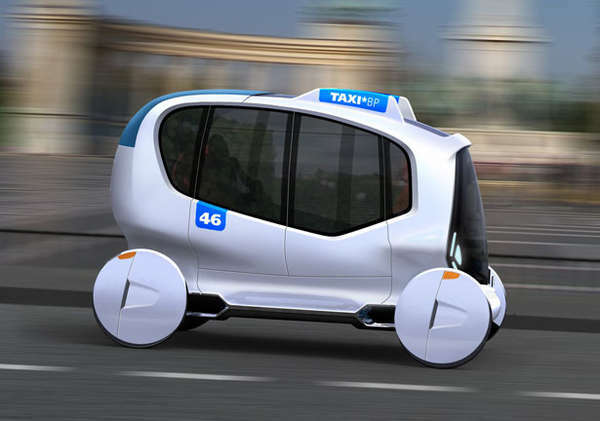 We’ll join Sebahive as he prepares his staff for a meeting with Toyota who has come to Kigali to present information on their new line of “e-Quantum” minibus taxis. 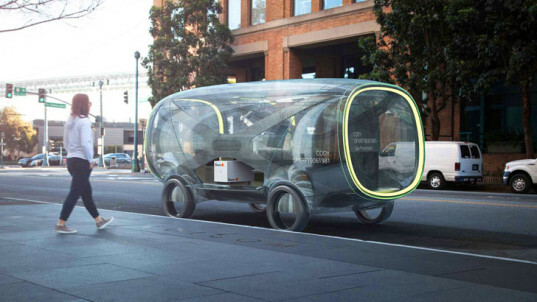 These vehicles are a gas/electric hybrid powered unit, with many of the same features that fully autonomous vehicles being used currently in Japan posses. 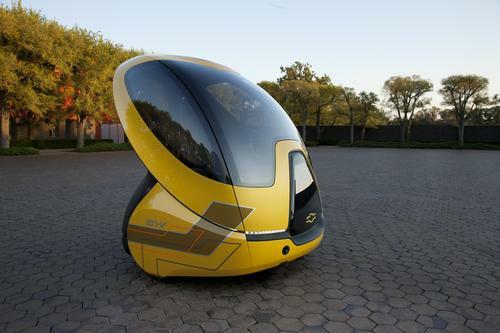 The infrastructure, roads, IT networks and other basic requirements are insufficient in Kigali (and most of the rest of Africa) to support fully autonomous vehicles at this time. 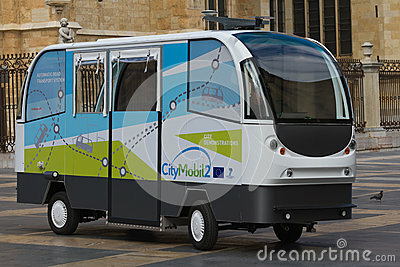 However, a ‘semi-autonomous’ mode has been developed, using both sophisticated on-board computers supplemented by an array of inexpensive IoT devices on roads, bus stops, buildings, etc. This “SA” (Semi-Autonomous) mode, as differentiated from a “FA” (Fully-Autonomous) mode, acts a bit like an auto-pilot or a very clever ‘cruise control’. 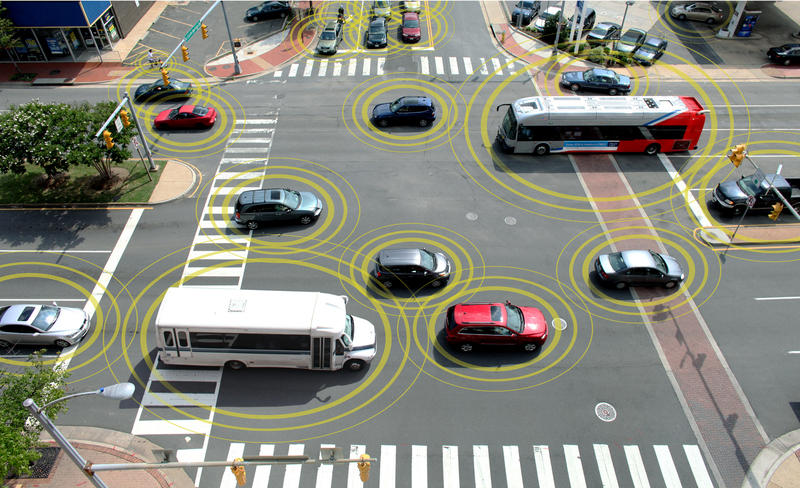 When activated, the vehicle will maintain the speed at which it was travelling when switched on, and will use sensors both on the exterior of the minibus as well as receive data from roadside sensors to keep the vehicle in its lane and not too close to other vehicles. The driver is still required to steer, and tapping the brake will immediately give full control back to the vehicle operator. Rather than the oft-hazardous manner of ‘taxi-hailing’ – which basically means stepping out into traffic and waving or whistling – many small IoT sensor/actuators (that are solar powered) are mounted on light poles, bus stop structures, sides of buildings, etc. Pressing the button on the device transmits a taxi request via WiFi/WiMax to the taxi signalling network, which in turn notifies any close taxis of a passenger waiting, and the location is displayed on the dashboard mapping display. A red LED is also illuminated on the transmitter so the passenger waiting knows the request has been sent. When the taxi is close (each taxi is constantly tracked using a combo IoT sensor/transceiver device) the LED turns green to notify the passenger to look for the nearby taxi. The relatively good IT networks in Kigali make the taxi signalling network possible. One of the fortuitous aspects of local geography (the city is essentially built on four large hills) is that a very good wireless network was easy to establish due to overlooking locations. Although he is encouraged by the possibility of a safer and more modern fleet of taxis, Sebahive is experienced enough to wonder about the many challenges that just living in Africa offers… power outages, the occasional torrential rains, vandalism of public infrastructure, etc. Although there are only about 2,500 minibus taxis in the entire country, it often seems like most of them are in the suburb of Kacyiru, Gasebo district (where the presidential palace and most of the ministries, including Sebahive’s office), is located at rush hour. 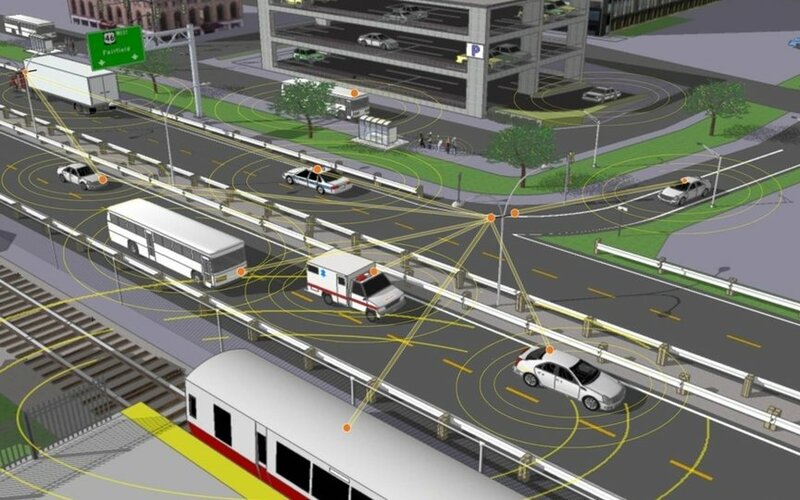 An IoT solution that keeps taxis, motorcycles (the single most common conveyance in Rwanda), pedestrians and very old diesel lorries from turning a roadway with lanes into an impenetrable morass of.. everything… has yet to be invented! Another aspect of technology, assisted by IoT, that is making life simpler, safer and more efficient is cellphone-based payment systems. With almost everyone having a smartphone today, and even the most unschooled having learned how to purchase airtime, electricity and other basic utilities and enter those credits into a phone or smart meter, the need to pay cash for transport services is fast disappearing. Variations on SnapScan, NFC technology, etc. all offer rapid and mobile payment methods in taxis or buses, speeding up transactions and reducing the opportunity for street theft. One of the many things in Sebahive’s brief is the continual push to get more and more retail establishments to offer the sale of transport coupons (just like airtime or electricity) that can be loaded into a user’s cellphone app. Tihi Ravi Sham C. is a soybean farmer in one of the poorest ares of rural India, a small village named Tihi in the central Indian state of Madhya Pradesh. However, he’s a sanchalak (lead farmer) with considerable IT experience relative to his environment, having been using a computer and online services since 2004, some 17 years now. Ravi started his involvement with the ITC’s “e-Choupal” service back then, and was able for the first time to gain knowledge of world-wide commodity prices rather than be at the mercy of the often unscrupulous middlemen that ran the “mandis” (physical marketplaces) in rural India. These traders would unfairly pay as little as possible to the farmers, who had no knowledge of the final selling price of their crops. The long-standing cultural, caste and other barriers to free trade in India also did not help the situation. Although the first decade of internet connectivity greatly improved Ravi’s (and the other farmers in his group area) life and profitability, the last few years (from 2019 onwards) have seen a huge jump in productivity. The initial period was one of knowledge enhancement, becoming aware of the supply chain, learning pricing and distribution costs, being able to get good weather forecasting, etc. The actual farming practice however wasn’t much changed from a hundred years ago. With electricity in scare supply, almost no motorized vehicles or farm equipment, light basically supplied by the sun and so on, real advances toward modern farming were not easily feasible. As India is making a massive investment into IoT, particularly in the manufacturing and supply chain sectors, an updated version of the “e-Choupal” was delivered to Ravi’s village. The original ‘gathering place’ was basically a computer that communicated over antiquated phone lines at very low speed and mostly supported text transmissions. The new “super-Choupal” was a small shipping container that housed several computers, a small server array with storage and a set of powerful WiFi/WiMax hubs. Connectivity is provided with a combination of the BBNL (Bharat Broadband Network Limited) service supported by the Indian national government, which provided fiber connectivity to many rural areas throughout the country, and a ‘Super WiFi’ service using Microsoft White Spaces technology (essentially identifying and taking advantage of unused portions of the RF spectrum in particular locations [so called “white spaces”] to link the super-Choupal IT container with the edge of the fiber network. Power for the container is a combination of a large solar array on the top of the container supplemented by fuel cells. As an outgrowth of Intelligent Energy’s deal with India to provide backup power to most of the country’s rural off-grid cell towers (replacing expensive diesel generators), there has been a marked increase in availability of hydrogen as a fuel cell source. The fuel is delivered as a replaceable cartridge, minimizing transport and safety concerns. Since the super-Choupal now serves as a micro datacenter, Ravi spends more of his time running the IT hub, training other farmers and maintaining/expanding the IoT network than farming. Along with the container hub, hundreds of small soil and weather sensors have been deployed to all the surrounding village farms, giving accurate information on where and when to irrigate, etc. In addition, the local boreholes are now monitored for toxic levels of chemical and other pollutants. The power supplies that run the container also provide free electricity for locals to charge their cellphones, etc. As each farmer harvests their crops, the soybeans, maize, etc. are bagged and then tagged with small passive IoT devices that indicate the exact type of product, amount, date packed, agreed upon selling price and tracking information. This now becomes the starting point for the supply chain, and can be monitored all the way from local distribution to eventual overseas markets. The farmers can now essentially sell online, and receive electronic payment as soon as the product arrives at the local distribution hub. 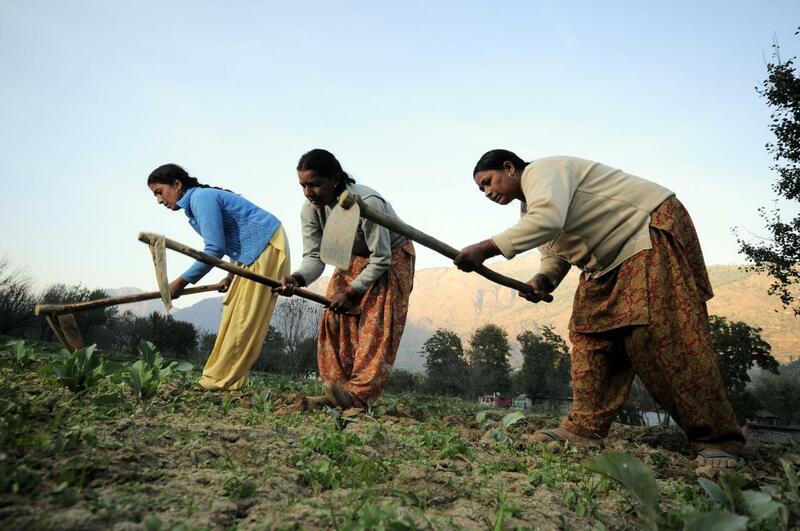 The lost days of each farmer physically transporting their goods to the “mandi” – and getting ripped off by the greedy middlemen – are now in the past. A cooperative collection scheme sends trucks around to each village center, where the IoT-tagged crops are scanned and loaded, with each farmer immediately seeing a receipt for goods on their cellphone. The cost of the trucking is apportioned by weight and distance and billed against the proceeds of the sale of the crops. The distributor can see in almost real time where each truck is, and estimate with knowledge how much grain and so on can be promised per day from the hub. While much of the current reporting on IoT describes how life will change for the end user / consumer once IoT matures and many of the features and functions that IoT can enable have deployed, the other side of the coin is equally compelling. The business of IoT can be broken down into roughly three areas: the design, manufacture and sales of the IoT technology; the generalized service providers that will implement and operate this technology for their business partners; and the ‘end user’ firms that will actually use this technology to enhance their business – whether that be in transportation, technology, food, clothing, medicine or a myriad of other sectors. The manufacture, installation and operation of billions of IoT devices will be expensive in its totality. 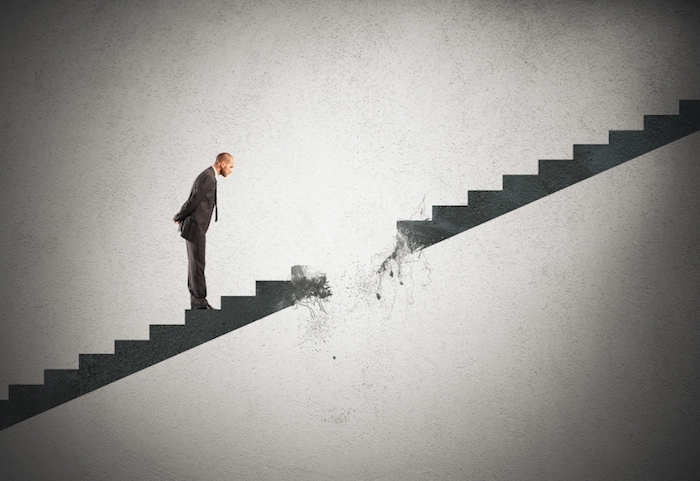 The only reason this will happen is that overall a net positive cash flow will result. Business is not charity, and no matter how ‘cool’ some new technology is perceived to be, no one is going to roll this out for the bragging rights. Even at this nascent stage the potential results of this technology are recognized by many different areas of commerce as such a powerful fulcrum that there is a large appetite for IoT. The driving force for the entire industry is the understanding of how goods and services can be made and delivered with increased efficiency, better value and lower friction. As the whole notion of IoT matures, several aspects of this technology that must be present initially for IoT to succeed (such as an intelligent network, as discussed in prior posts in this series) will benefit other areas of the general IT ecosystem, even those not directly involved with IoT. Distributed and powerful networks will enhance ‘normal’ computational work, reduce loads on centralized data centers and in general provide a lower latency and improved experience for all users. The concept of increased contextual awareness that IoT technology brings can benefit many current applications and processes. As IoT is in its infancy at this stage it’s interesting to note that the largest amount of traction is in the logistics and supply chain parts of commerce. The perceived functionality of IoT is so high, with relatively low risk from early adopter malfunction, that many supply chain entities are jumping on board, even with some half-baked technology. As was mentioned in an earlier article, temperature variations during transport are the single highest risk factor for the delivery of wine internationally. IoT can easily provide end-to-end monitoring of the temperature (and vibration) for every case of wine at an acceptable cost. The identification of suspect cases, and the attribution of liability to the carriers, will improve quality, lower losses and lead to reforms and changes where necessary in delivery firms to avoid future liability for spoiled wine. As with many ‘buzzwords’ in the IT industry, it will be incumbent on each company to determine how IoT fits (or does not) within that firm’s product or service offerings. This technology is still in the very early stages of significant implementation, and many regulatory, legal, ethical and commercial aspects of how IoT will interact within the larger existing ecosystems of business, finance and law have yet to be worked out. Early adoption has advantages but also risk and increased costs. Rational evaluation and clear analysis will, as always, be the best way forward. 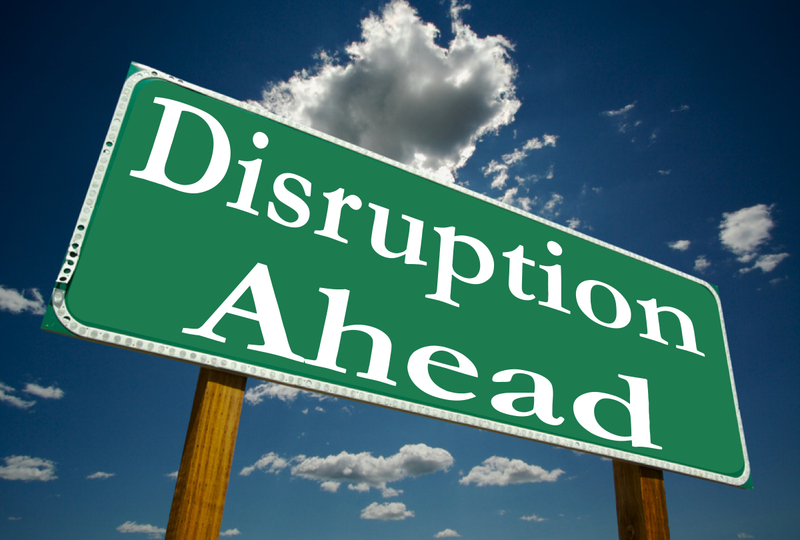 The next section of this post “The Disruptive Power of IoT” may be found here. Past readers of my articles will notice that I have a particular interest in the duality of Security and Privacy within the universe of the Internet. IoT is no exception… In the case of IoT, the bottom line is that for wide-spread acceptance, functionality and a profitable outcome the entire system must be perceived as secure and trustworthy. If data cannot be trusted, if incorrect actions are taken, if the security of individuals and groups is reduced as a result of this technology there will be significant resistance. A number of security factors have been discussed in the prior posts in relation to sensors, actuators and the infrastructure/network that connects and supports these devices. To summarize, many devices do not, or likely will not, provide sufficient security built in to the devices themselves. Once installed, it will typically be unreasonable or impossible to upgrade or alter the security functionality of the IoT devices. Some of the issues that plague IoT devices are: lack of a security layer in the design; poor protocols; hard-coded passwords; lack of – or poorly implemented – encryption; lack of best practice authentication and access control, etc. Security as part of the overall design of individual sensors/actuators as well as the complete system. The economic factor in security: how much security for how much cost is appropriate for a particular device? For instance, a temperature sensor used in logistics will have very different requirements than an implanted sensor in a human pacemaker. Usability: just as in current endpoints and applications, a balance between ease of use and appropriate security must be achieved. Adherence to recognized security ‘best practices’, protocols and standards. Just as “ipsec” exists for general ip networks, work is under discussion for “IoTsec” – and if such a standard comes into existence it will be incumbent on manufacturers to accommodate this. How functional security processes (authentication, access control, encryption of data) will be implemented within various IoT schemas and implementations. As vulnerabilities are discovered, or new security practices are deemed necessary to implement, how can these be implemented in a large field of installed devices? How will IoT adapt to the continual change of security regulations, laws and business requirements over time? How will various IoT implementations deal with ‘cross-border’ issues (where data from IoT sensors is consumed or accessed by entities that are in different geographic locations, with different laws and practices concerning data security? The issue of privacy is particularly challenging in the IoT universe, mainly due to both the ubiquity and passivity of these devices. Even with mobile apps that often tend to reduce privacy in many ways the user has some degree of control as an interface is usually provided where a measure of privacy control can be implemented. Most IoT devices are passive, in the sense that no direct interaction with humans occurs. But the ubiquity and pervasiveness of the the sensors, along with the capability of data aggregation, can provide a huge amount of information that may reduce the user’s privacy remarkably. The alarm in their smartphone wakes up the user – which as it detects sleep patterns through movement and machine learning – transmits that info to a database, registering among other things the time the user awoke. The NEST thermostat adjusts the environment, as it has learned the user is now awake. That info as well is shared. Various motion and light sensors throughout the home detect the presence and movement of the user, and to some degree transmit that information. The security system is armed as the user leaves the home, indicating a lack of presence. The autonomous car wakes up and a pre-existing program “take me to work, but stop at Starbucks on Main Road for a coffee first” is selected. The user’s location is transmitted to a number of databases, some personalized, some more anonymous (traffic management systems for example) – and the requirement for a parking space near the desired location is sent. Once a suitable parking space is reserved (through the smart parking system) a reservation is placed on the space (usually indicated by a lamp as well as signalling any other vehicle that they cannot park there). The coffee house recognizes the presence of a repeat customer via the geotagging of the user’s cellphone as it acquires the WiFi signal when entering the coffee shop. The user is registered onto the local wireless network, and the user’s normal order is displayed on their cell for confirmation. A single click starts the order and the app signals the user when their coffee and pastry are ready. The payment is automatically deducted at pickup using NFC technology. The payment info is now known by financial networks, again indicating the location of the user and the time. The user signals their vehicle as they leave the coffee shop, the parking space allocation system is notified that the space will be available within 2 minutes, and the user enters the car and proceeds to be driven to work. It is clear that with almost no direct interaction with the surrounding ecosystem many details of the user’s daily life are constantly revealed to a large and distributed number of databases. As the world of IoT increases and matures, very little notification will ever be provided to an individual user about how many databases receive information from a sensor or set of sensors. In a similar manner, instructions to an actuator that is empirically tied to a particular user can reflect data about that user, and again the user has no control over the proliferation of that data. As time goes on, and new ‘back-office’ functionality is added to increase either the usefulness of IoT data to a user or the provider, it is most likely that additional third party service providers will acquire access to this data. Many of these will use cloud functionality, with interconnections to other clouds and service providers that are very distant, both in location and regulatory environment, to the user. The level of diffusion will rapidly approach that of complete ambiguity in terms of a user having any idea of who has access to what data that IoT devices within their environment provide. One cannot wish this technology away – it’s coming and nothing will stop it. At some level, the combination of drivers that will keep enabling the IoT ecosystem (desire for an increased ‘feature-set of life’ from users; and increased knowledge and efficiency from product and service providers) will remain much higher than any resistance to the overall technology. However, the widespread adoption, trust and usefulness will be greatly impacted if a wide-spread perception grows that IoT is invasive, reduces the overall sense of privacy, and is thought of as ‘big brother’ in small packages. The scale of the IoT penetration into our lives is also larger than any previous technology in human history – with the number of connected devices poised to outnumber the total population of the planet by a factor of more than 10:1 within the next seven years. 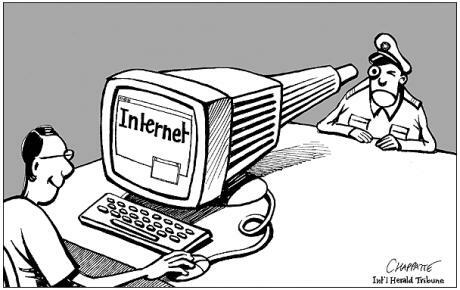 Even those users that believe they are not interacting with the Internet will be passively ‘connected’ every day of their lives in some way. This level of unavoidable interaction with the ‘web’ will shortly become the norm for most of humanity – and affect those in developing economies as well as the most technologically advanced areas. Due to the low cost and high degree of perceived value of the technology, the proliferation of IoT into currently less-advanced populations will likely exceed that of the cellphone. 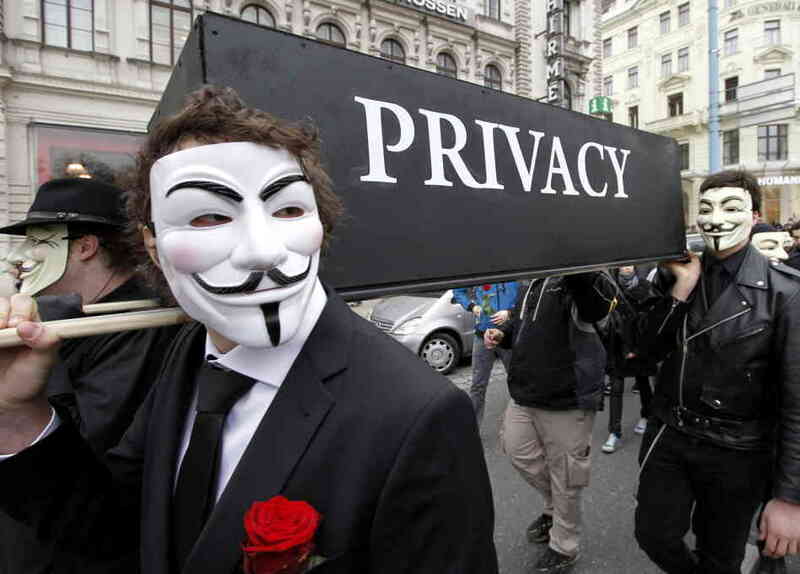 While it is beyond the scope of this post to discuss the larger issue of privacy in the connected world in detail, it must be recognized that the explosive growth of IoT at present will forever change our notion of privacy in every aspect of our lives. This will have psychological, social, political and economic results that are not fully known, but will be a sea change in humanity’s process. The next section of this post “IoT from a Consumer’s Point of View” may be found here. 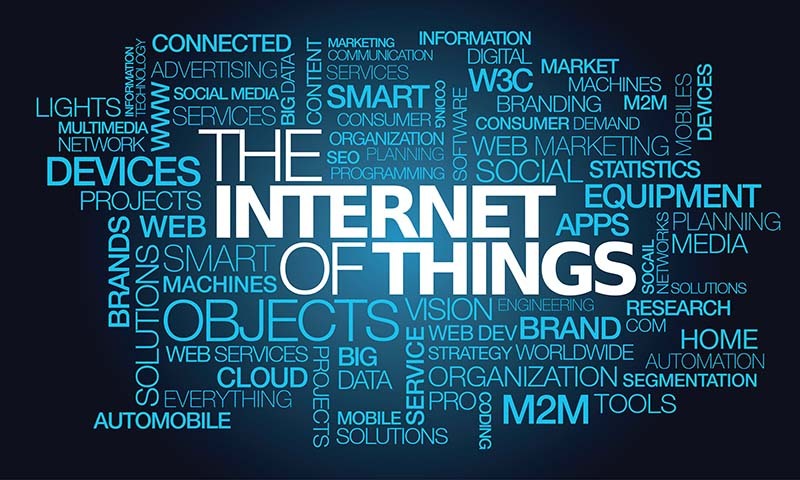 As the name implies, the functionality of “Things” that comprise an IoT universe must be connected in order for this ecosystem to operate. This networking interconnection is actually the magic that will allow a fully successful implementation of the IoT technology. In addition, it’s important to realize that this network will often perform in a bi-directional manner, with the “Things” at the edge of the network either acting as Input Devices (Sensors) or Output Devices (actuators). The variety, complexity and capability of input sensors in the IoT universe is almost without limit. Almost anything that can measured in some way will spawn an IoT sensor to communicate that data to something else. 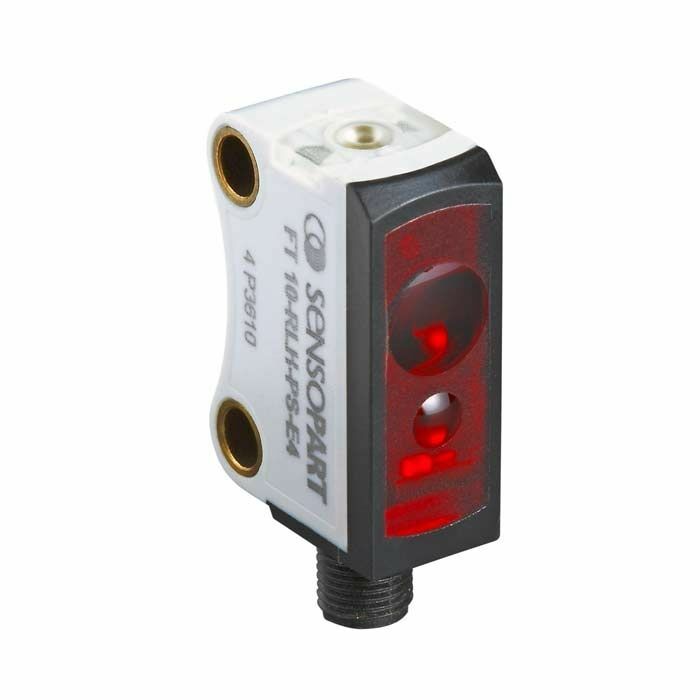 In many cases, sensors may be very simple, measuring only a single parameter. 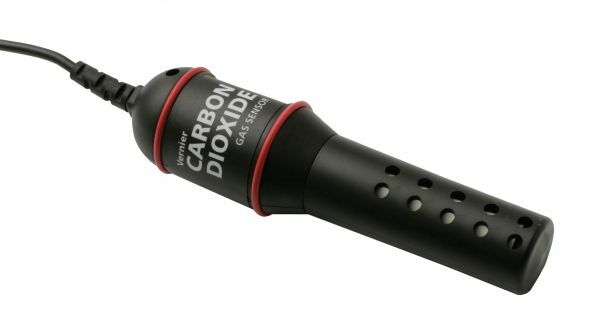 In other cases, a combined sensor package may measure many parameters, providing a complete environmental ‘picture’ as a dataset. For instance, a simple sensor may just measure temperature, and a use case might be an embedded sensor in a case of wine before transport. The data is measured once every hour and stored in memory onboard the sensor, then ‘read’ upon arrival at the retail point to ensure that maximums or minimums of acceptability were not exceeded. Thermal extremes are the single largest external loss factor in transport of wine worldwide, so this is not a trivial matter. On the other hand, a small package – the size of a pack of cigarettes – attached to a vehicle can measure speed, acceleration, location, distance traveled from waypoints, temperature, humidity, relative light levels (to indicate degree of daylight), etc. 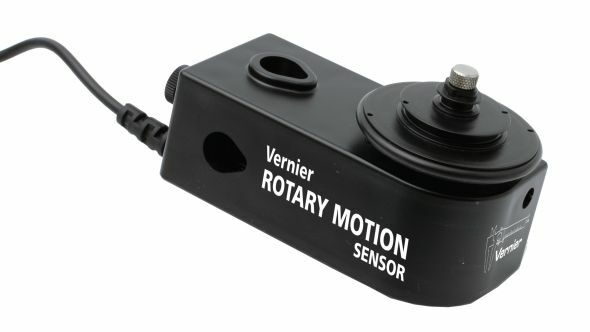 If in addition the sensor package is connected to the vehicle computer, a myriad of engine and other component data can be collected. All this data can be either transmitted live, or more likely, stored in a sample manner and then ‘burst-transmitted’ on a regular basis when a good communications link is available. An IoT sensor has, at a minimum, the following components: actual sensor element, internal processing, data formation, transmission or storage. More complex sensors may contain both storage and data transmission, multiple transmission methodologies, preprocessing and data aggregation, etc. At this time, the push for most vendors is to get sensors manufactured and deployed in the field to gain market share and increase sales in the IoT sector. Long term thought to security, compatibility, data standards, etc. is often not addressed. Since the scale of IoT sensor deployment is anticipated to exceed the physical deployment of any other technology in the history of humanity, new paradigms will evolve to enable this rollout in an effective manner. While the large scale deployment of billions of sensors will bring many new benefits to our technological landscape, and undoubtedly improve many real-world issues such as health care, environmental safety and efficiency of resource utilization, traffic management, etc., this huge injection of edge devices will also collectively offer one of the greatest security threats that has ever been experienced in the IT landscape. Due to a current lack of standards, rush to market, lack of understanding of even the security model that IoT presents, etc. 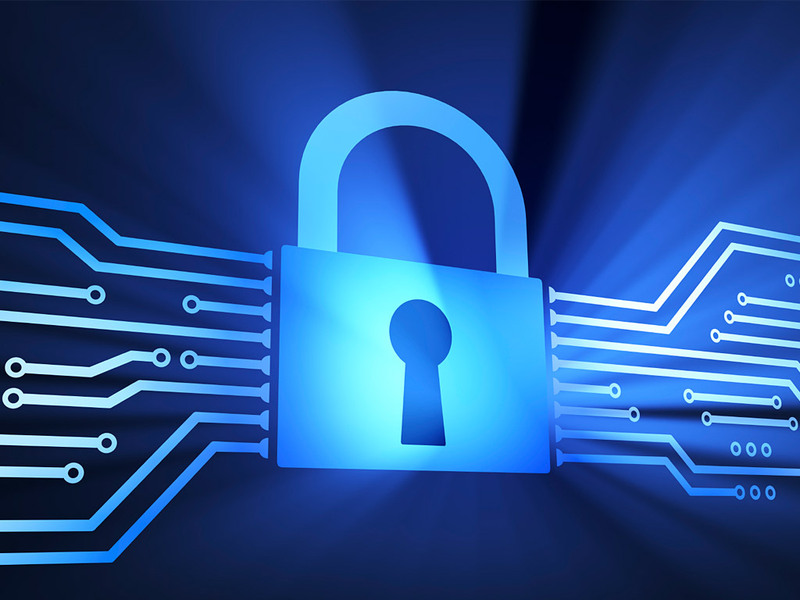 most sensors do not have security embedded as a fundamental design principle. Many (read most as of the time of this article) sensors have little or no real security, authentication or encryption of data functionality. If logistics firms are subject to penalties for delivering goods to retailers that have exceeded the prescribed temperature min/max levels, some firm somewhere may be enticed to substitute readings from a set of sensors that were kept in a more appropriate temperature environment – how is this raw temperature data authenticated? What about sensors that are attached to a human pacemaker, reporting back biomedical information that is personally identifiable. Is a robust encryption scheme applied (as would be required by USA HIPPA regulations)? There is another issue that will come back to haunt us collectively in a few years: that of vendor obsolescence. Whether a given manufacturer goes out of business, deprecates their support of a particular line of IoT sensors, or leaves the market for another reason, ‘orphaned’ devices will soon become a reality in the IoT universe. While one may think that “Oh well, I’ll just have to replace these sensors with new ones” is the answer, that will not always be an easy answer. What about sensors that are embedded deep within industrial machines, aircraft, motorcars, etc.? These could be very expensive or practically impossible to easily replace, particularly on a large scale. And to further challenge this line of thought, what if a proprietary communications scheme was used by a certain sensor manufacturer that was not escrowed before the firm went out of business? 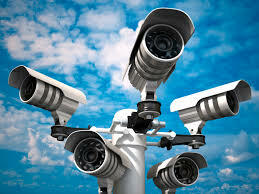 Then we are faced with a very abrupt ‘darkening’ of thousands or even millions of sensor devices. All of the above variables should be considered before a firm embarks on a large-scale rollout of IoT sensor technology. Not all of the issues have immediate solutions, some of the challenges can be ameliorated in the network layer (to be discussed later in this post), and some can be resolved by making an appropriate choice of vendor or device up front. 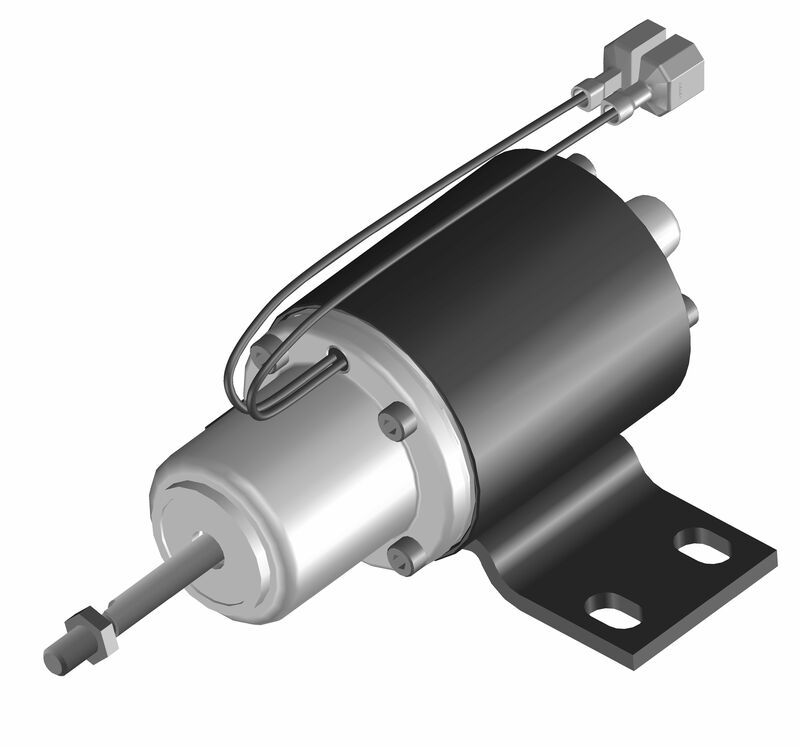 Actuators may be stand-alone (i.e. just an output device), or may be combined with an IoT input sensor. An example might be an intelligent light bulb designed for night lighting outdoors – where the sensor detects that the ambient light has fallen to a predetermined level (that may be externally programmable), and in addition to reporting this data upstream also directly triggers the actuator (the light bulb itself) to turn on. In many cases an actuator, in addition to acting on data sent to it over an IoT network, will report back with additional data as well, so in some sense may contain both a sensor as well as an actuator. An example, again using a light bulb: the light bulb turns on only when specifically instructed by external data, but if the light element fails, the bulb will inform the network that this device is no longer capable of producing light – even though it’s receiving data. A robustly designed network would also require the use of light bulb actuators that issue an occasional ‘heartbeat’ so if the bulb unit fails completely, the network will know this and report the failure. The issue of security was discussed concerning input sensors above, but this issue also applies to output actuators. In fact, the security and certainty that surrounds an IoT actuator is often more immediately important than a sensor. 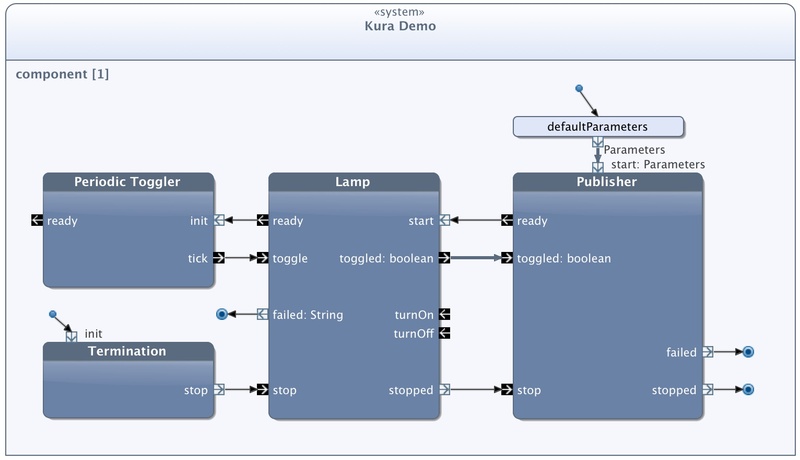 A compromised sensor will result in bad or missing data, which can still be accommodated within the network or computational schema that uses this data. An actuator that has been compromised or ‘hacked’ can directly affect either the physical world or a portion of a network, so can cause immediate harm. 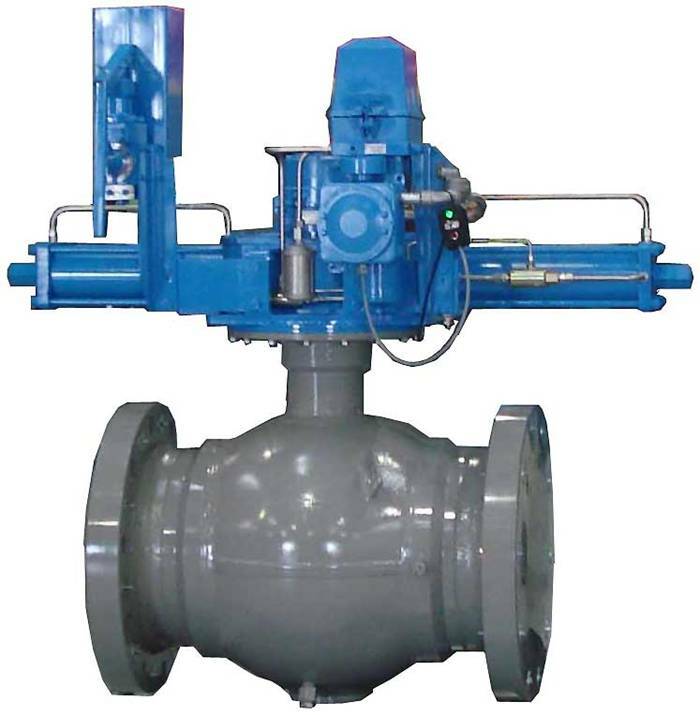 Imagine a set of actuators that control piping valves in a high-pressure gas pipeline installation… and if some valves were suddenly closed while others were opened a ‘hammer’ effect could easily cause a rupture and the potential of a disastrous result. It is imperative that in high-risk points a strong and multilayered set of security protocols is in place. This issue, along with other reliability issues, will likely delay the deployment of many IoT implementations until adequate testing and use case experience demonstrates that current ‘closed-system’ industrial control networks can be safely replaced with a more open IoT structure. Another area where IoT will require much testing and rigorous analysis will be in vehicles, particularly autonomous cars. The safety of life and property will become highly dependent on the interactions of both sensors and actuators. 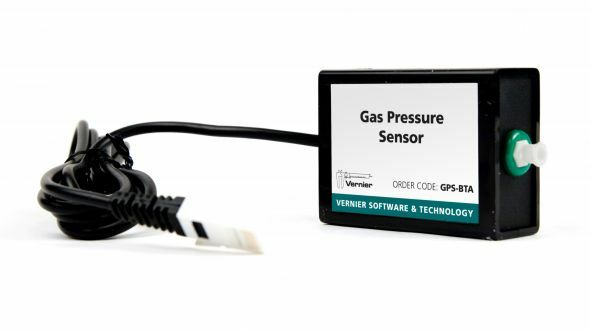 Other issues and vulnerabilities that affect input sensors are applicable to actuators as well: updating firmware, vendor obsolescence and a functional set of standards. 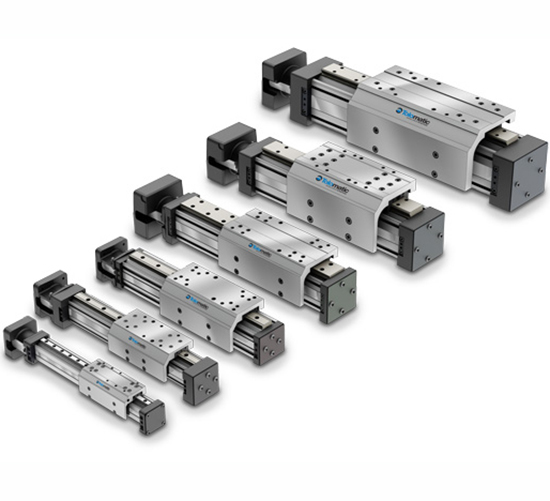 Just as in the world of sensors, many of the shortcomings of individual actuators must be handled by the network layer in order for the entire system to demonstrate the required degree of robustness. 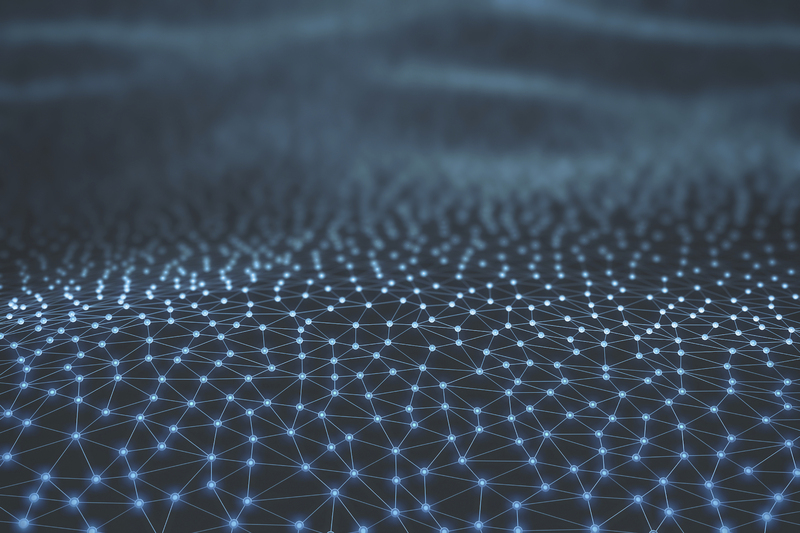 While sensors and actuators are the elements of IoT that receive most attention, and are in fact the devices that form the edge of the IoT ecosystem, the more invisible network and associated infrastructure is absolutely vital for this technology to function. In fact, the overall infrastructure is more important and carries a greater responsibility for the overall functionality of IoT than either sensors or actuators.Although the initial demonstration and implementation of IoT technology is currently using traditional ip networks this must change. The current model of remote users (or machines) connecting to other remote users, data centers or cloud combinations cannot scale to the degree required for a large scale successful implementation of IoT. In addition, a functional IoT network/infrastructure must contain elements that are not present in today’s information networks, and provide many levels of distributed processing, data aggregation and other functions. Some of the reasons that drive these new requirements for the IoT network layer have been discussed above, in general the infrastructure must make up for the lacks and limitations of both sensors and actuators as they age in place over time. The single largest reason that the network layer will be responsible for the bulk of security, upgrading/adaptation, dealing with obsolescence, etc. is that the network is dynamic and can be continually adjusted and tuned to the ongoing requirements of the sensors, actuators and the data centers/users where the IoT information is processed or consumed. The reference to ‘infrastructure’ in addition to ‘network’ is for a very good reason: in order for IoT to function well on a long-term basis, substantial ingredients beyond just a simple network of connectivity are required. 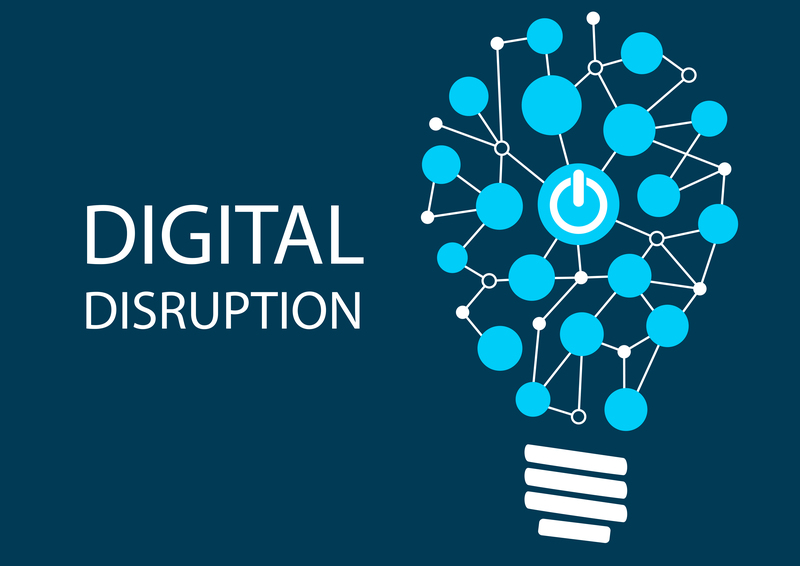 There are three main drivers of this additional requirement: data reduction & aggregation, security & reliability, and adaptation/support of IoT edge devices that no longer function optimally. The amount of data that will be generated and/or consumed by billions of sensors and actuators is gargantuan. According to one of the most recent Cisco VNI forecasts, the global internet traffic will exceed 1.3 zettabytes by the end of this year. 1 zettabyte = 1 million petabytes, with 1 petabyte = 1 million gigabytes… to give some idea of the scale of current traffic. And this is with IoT barely beginning to show up on the global data transmission landscape. If we take even a conservative estimate of 10 billion IoT devices adding to the global network each year between now and 2020, and we assume that on average each edge device transmits/receives only 1 kbps (kilobits per second), this math follows: 30GB per device per year X 10 billion devices = 300 exabytes of new added data per year – at a minimum. Now, enter the world of IoT sensors and actuators onto this already crowded IT infrastructure. The type of data that is detected and transmitted by sensors will very often be time-sensitive. 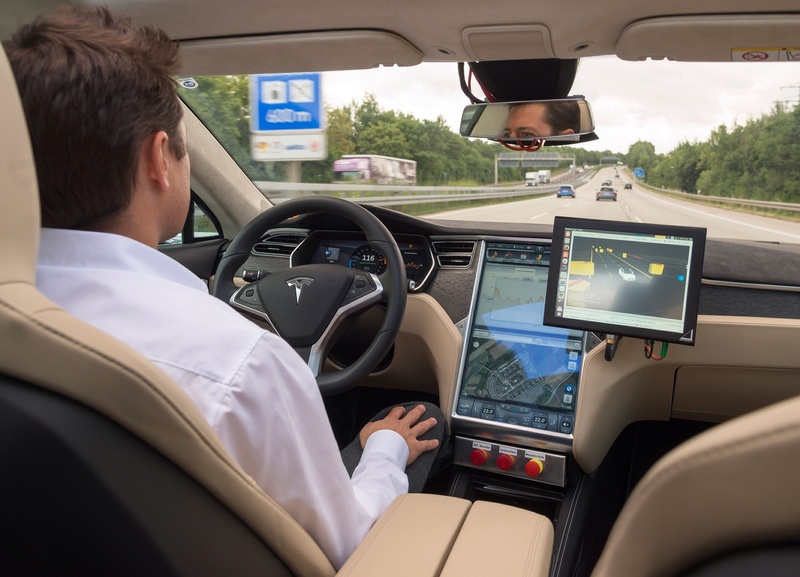 For instance the position of an autonomous vehicle must be updated every 100 mSec or the safety of that vehicle and others around it can be affected. If Amazon succeeds in getting delivery drones licensed, we will have tens of thousands of these critters flying around our heavily congested urban areas – again requiring critically frequent updates of positional data among other parameters. Latency rapidly becomes the problem even more than bandwidth… and the internet, in its glorious redundant design, has as its core value the ultimate delivery of the packet as the prime law, not how long it takes or how many packets can ultimately be delivered. Remember, the initial design of the Internet (which is basically unchanged for almost 50 years now) was a redundant mesh of connectivity to allow the huge bandwidth of 300 bits per second (teletype machine basically) to reach its destination even in the face of nuclear attack wiping out some major nodes on the network. The current design of data center connectivity (even such monsters such as Amazon Web Services, Google Compute, Microsoft Azure) is a star network. This has one (or a small cluster) of large datacenters in the center of the ‘cloud’, with all the users attached like spokes on a wheel at the edge. As the number of users grows, the challenge is to keep raising the capacity of the ‘gateways’ into the actual computational/storage center of the cloud. It’s very expensive to duplicate data centers, and doing so brings additional data transmission costs as all the data centers (of a given vendor) must constantly be synchronized. Essentially, the star model of central reception, processing and then sending data back to edge fails at the scale and required latency for IoT to succeed. Data Reduction: using the same example, if one desired a somewhat more granular sensing of the wine plot, the intelligent network could examine the data from each row, and with a predetermined min/max data range, transmit the data upstream only for those sensors that were out of range. 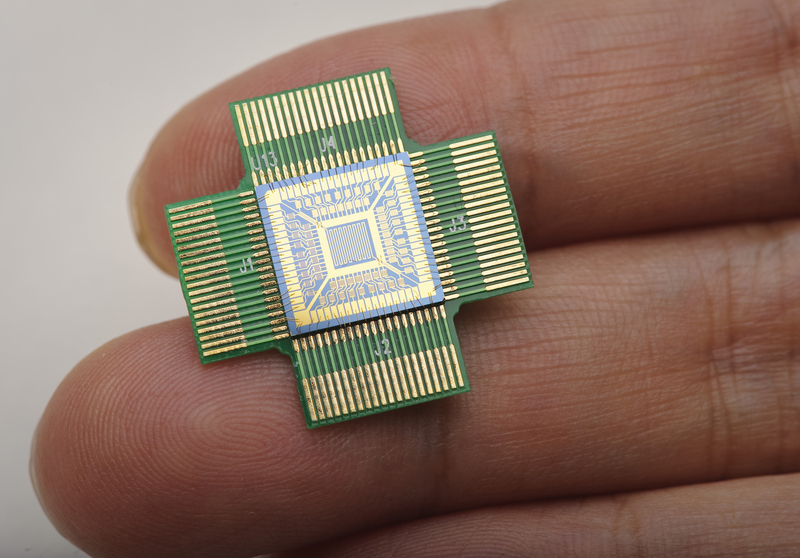 This may effectively reduce the data from 1,000 sensors to perhaps a few dozen. Both of these techniques require both distributed compute and storage capabilities to exist within the network itself. This is a new paradigm for networks, which up to this time have been quite stupid in reality. Other than passive network hubs/combiners, and active switches (which are very limited, although extremely fast, in their analytical capabilities), current networks are just ribbons of glass or copper. With the current ability of putting substantial compute and storage power in a very small package that uses very little power (look at smart watches), small ‘nodes of intelligence’ could be embedded into modern networks and literally change the entire fabric of connectivity as we know it. Further details on how this type of intelligent network could be designed and implemented will be a subject of a future post, but here it’s enough to demonstrate that some sort of ‘smart fabric’ of connectivity will be required to effectively deploy IoT on the enormous scale that is envisioned. The next area in which the infrastructure/network that interconnects IoT will be critical to its success will be the overall security, reliability and trustworthiness of the data that is both received from and transmitted to edge devices: sensors and actuators. Not only does the data from sensors, and instructions to actuators, need to be accurate and protected; but the updstream data centers and other entities to which IoT networks are attached must be protected. IoT edge devices, due to their limited capabilities and oft-overlooked security features, can provide easy attack surfaces for the entire network. Typical perimeter defense mechanisms (firewalls, intrusion detection devices) will not work for several reasons in the IoT universe. Mostly this is because IoT devices are often deployed within a network, not just at the outer perimeter. Also, the types of attacks will be very different that what most IDS trigger on now. As was touched on earlier in this series, most IoT sensors do not have strong security mechanisms built in to the devices themselves. In addition, with the issues of vulnerabilities discovered after deployment, it’s somewhere between difficult and impossible to upgrade large numbers of IoT sensors in place. Many times the sensors are not even designed for bi-directional traffic, so even if a patch was designed, and the sensor somehow could install it, the patch could not be received by the sensor. This boils down to the IoT infrastructure/network bearing the brunt of the burden of security for the overall IoT ecosystem. There are a number of possible solutions that can be implemented in an IoT network environment to enhance security and reliability, one such example is outlined in this paper. Essentially the network must be intelligent enough to compensate for the ‘dumbness’ of the IoT devices, whether sensors or actuators. One of the trickiest bits will be to secure ‘device to device’ communications. As some IoT devices will directly communicate to other nearby IoT devices through a proprietary communications channel and not necessarily the ‘network’, there is the opportunity for unsecured traffic, etc. to exist. An example could be a home automation system: Light sensors may communicate directly to outlets or lamps using the Zigbee protocol and never (directly) communicate over a normalized ip network. The issues of out-of-date devices, compromised devices, etc. are not handled (at this time) by the Zigbee protocol, so no protection can be offered. Potentially, such vulnerabilities could lead to an access point in the larger network as a threat surface. 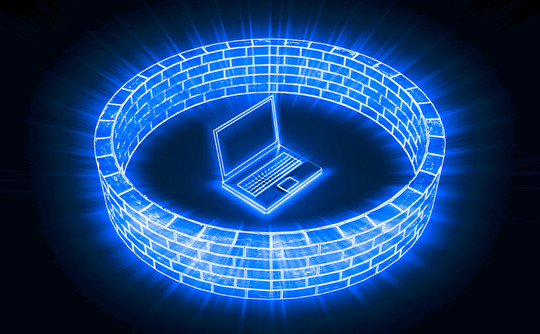 The network must ‘understand’ to what it is connected, even if it is a small subsystem (instead of single devices), and provide the same degree of supervision and protection to these isolated subsystems as is possible with single devices. It rapidly becomes apparent that for the network to implement such functions a high degree of ‘contextual awareness’ and heuristic intelligence is required. With the plethora of devices, types of functions, etc. it won’t be possible to develop, maintain and implement a centrally based ‘rules engine’ to handle this very complex set of tasks. A collective effort will be required from the IoT community to assist in developing and maintaining the knowledgeset for the required AI to be ‘baked in’ to the network. While this is, at first, a considerable challenge, the payoff will be huge in many more ways than just IoT devices working better and being more secure: the large scale development of a truly contextually aware and intelligent network will change the “Internet” forever. In a similar manner to providing security and reliability, the network must take on the burden of adapting to obsolete devices, broken devices, and monitoring devices for out-of-expected-range behavior. Since the network is dynamic, and (as postulated above) will come to have significant computational capability baked in to the network itself, only the network is positioned to effectively monitor and adapt to the more static (and hugely deployed) set of sensors and actuators. As in security scenarios, context is vital and each set of installed sensors/actuators must have a ‘profile’ installed to the network along with the actual device. For instance, a temperature sensor could in theory report back a reading of anything remotely reasonable (let’s say -50C to +60C – that covers Antarctica to Baghdad) but if the temp sensor is installed in a home refrigerator the range of expected results would be far more narrow. So as a home appliance vendor turns out units that have IoT devices on board that will connect to the network at large, a profile must also be supplied to the network to indicate the expected range of behavior. The same is true for actuators: an outdoor light for a walkway that tacitly assumes it will turn on once in the evening and off again in the morning should assume something is wrong if signals come through that would have the light flashing on and off every 10 seconds. 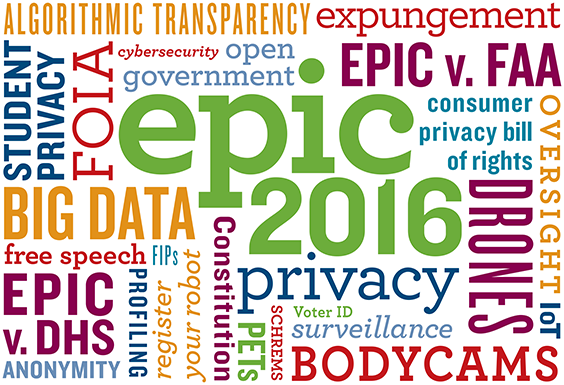 The next section of this post “Security & Privacy” may be found here. As one of the latest buzzwords of things technical permeates our collective consciousness to a greater degree, it’s useful to better understand this technology by observing and discussing the various facets of IoT. Like many nascent technologies, IoT has been around for some time (depending on who you ask, and what your definition is, the term IoT showed up around 1999) but the real explosion of both the technology and large-scale awareness was over the last five years. Like the term ‘cloud’ – the meaning is often diffuse and inexact: one must define the use and application to better understand how this technology can provide value. As the technology of IoT is maturing and beginning to be rolled out in larger and larger scale deployments, the impact of IoT will be felt by all of us, whether or not we directly think we are ‘using’ IoT. Understanding the strengths and weaknesses of IoT across different aspects will be critical to understanding the effects and usefulness (or potential threats) posed by this technology. In this short series of posts, I’ll be examining IoT features across the following areas: 1) basic definition & scope; 2) the Trinity of functional IoT: sensors/actuators/infrastructure; 3) security & privacy; 4) the consumer pov [bottom up view]; 5) the business pov [top down]; 6) the disruption that IoT will cause in both personal & business process; and 7) what an IoT-enabled world will look like (realistically) in 2021 (5 years on). 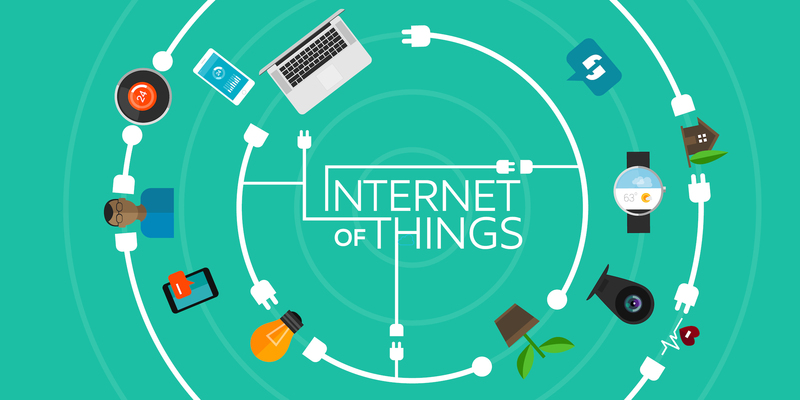 The term “Internet of Things” can potentially encompass a vast array of objects and technologies. Essentially this means a collection of non-human entities that are connected to one or more networks and communicate to other non-human entities. This is to differentiate IoT from the ‘normal’ Internet where humans connect to either each other or information repositories (aka Google) to send or receive information, make purchases, perform tasks, etc. The range of activities and objects that can be encompassed by “IoT” is huge, and some may argue that certain activities fall outside their definition of IoT. This has been a common issue with the term “cloud” – and I don’t see this confusion going away anytime soon. One must clarify how the term applies in a given discussion or risk uncertainty of understanding. 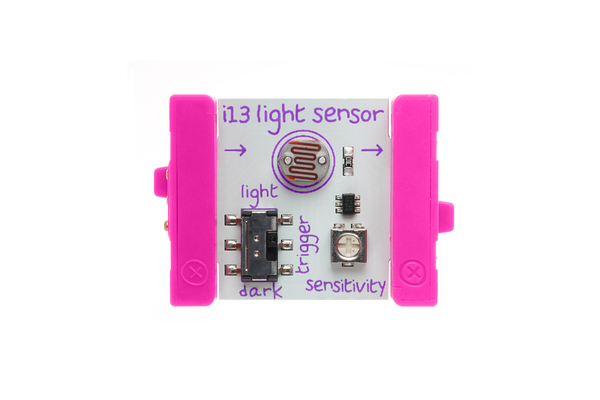 A small sensor that measures temperature and humidity that is capable of connecting to the Internet and transmitting that data is a classical example of an IoT device. It is usually physically small, relatively simple in both design and function, and can potentially exist in a large scale. An Internet router – a large switch that directs traffic over the Internet – but also communicates with other such switches and uploads data for later analysis is usually not thought of as part of the IoT universe, even though it is not human, and does connect to other non-human entities over a network. These devices are usually (and I would argue correctly) defined as part of the overall infrastructure that supports IoT, but not an IoT device itself. However… IoT can’t exist without them, so they can’t be ignored, even in a discussion of IoT. The other thing to keep in mind is that often we tend to think of IoT devices as “Input Devices”, or sensors. Equally at home in the IoT universe however are “Output Devices”, or actuators. 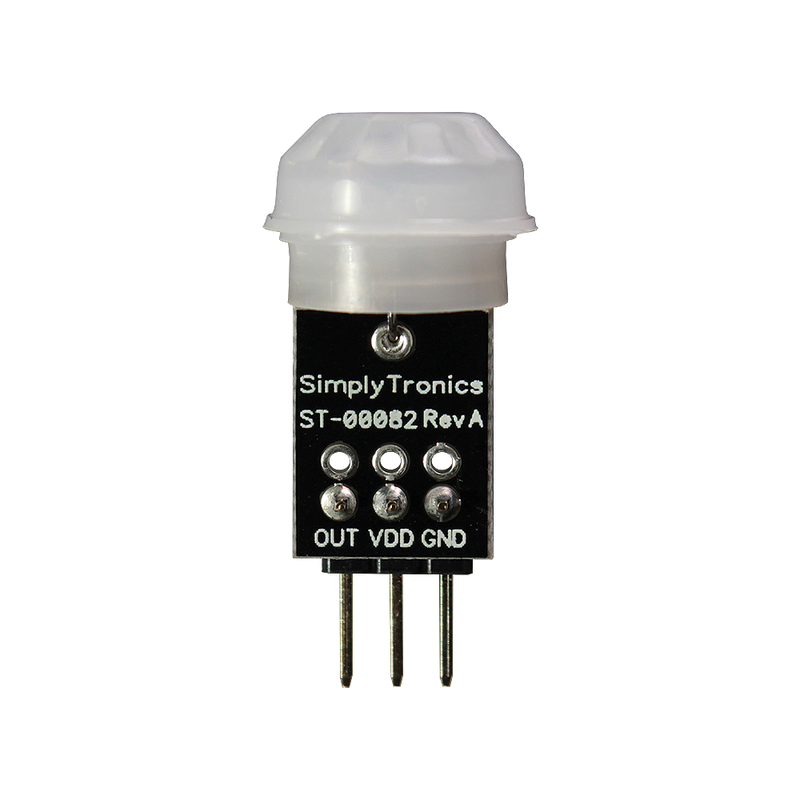 They can be very simple, such as a light switch (that is actuated by either a local sensor of ambient light, or a remote command from a mobile device, etc.) 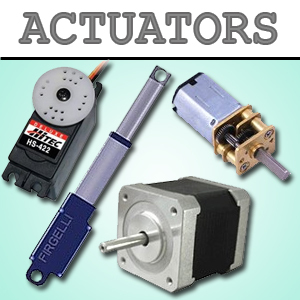 Actuators can be somewhat more complicated, such as the set of solenoids, motor controls, etc. that comprise an IoT-connected washing machine (which among other activities may use a weight sensor to determine the actual amount of soiled clothes in order to use exactly the amount of water and detergent that is appropriate; predict the amount of electricity that will be used for a wash cycle, measure incoming water pressure and temperature and accommodate that in its process, etc.) 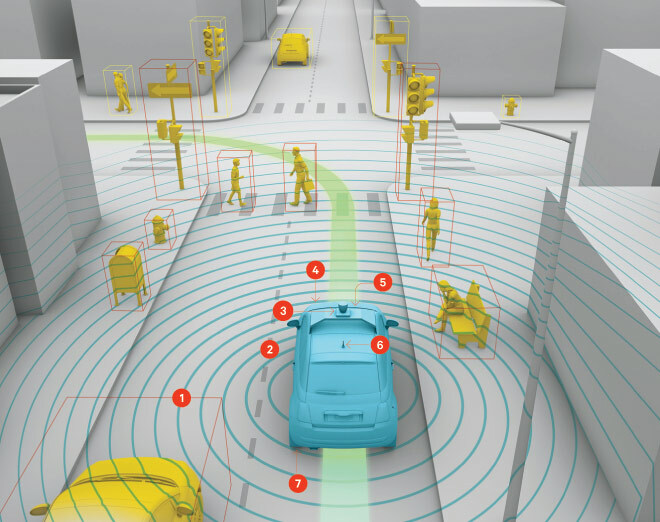 At a macro level, an autonomous vehicle could be thought of as both an ‘actuator’ and a ‘sensor’ within a large network of traffic – again the point of view often determines the definition. 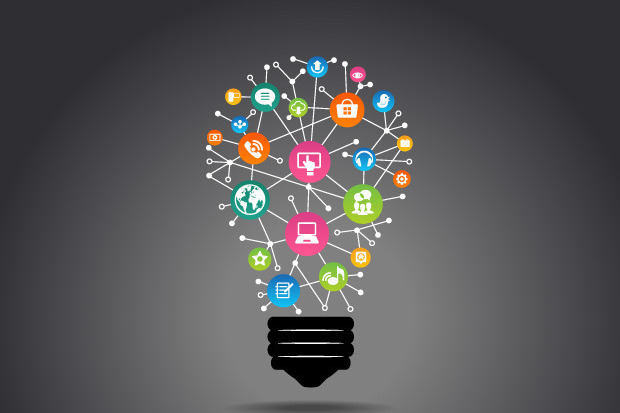 The potential range and pervasiveness of IoT devices is almost beyond imagination. Depending on your news source, the amount of estimated IoT devices that will be actively deployed by 2020 will range between 25 and 50 billion devices. What happens by 2030 – only 14 years from now? Given that most pundits were horribly wrong back in 1995 about how many cellphones would be actively deployed by 2010 (same ~15 yr predictive window) – most observing that maybe 1 million cellphones would be active by that time, whereas the actual number turned out to be almost a billion; it’s not unlikely that a trillion IoT devices will be deployed by 2030. That’s a very large number… and has some serious implications that will be discussed in later articles on this topic. For instance, just how do you update a trillion devices? The very fabric of connectivity will change in the face of this amount of devices that all want to talk to something. The number of cellphones is already set to exceed the population of our planet within a year (there are currently 6.88 billion cellphones, and 7.01 billion humans – as of April 2016). 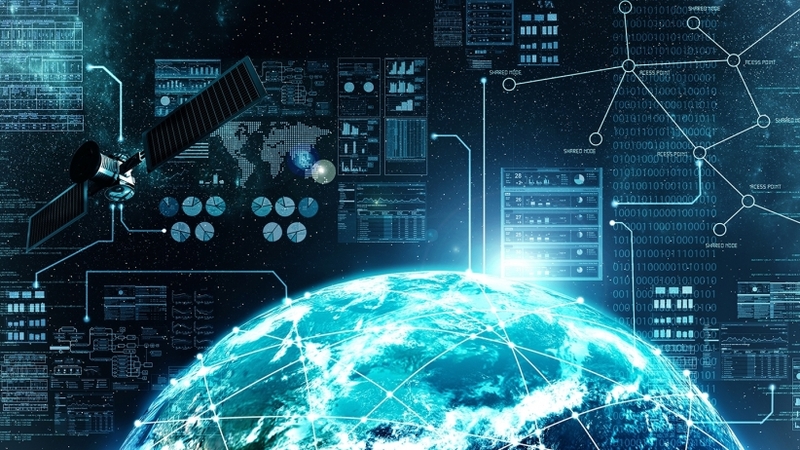 With IoT devices set to outnumber all existing Internet devices by a factor of more than 1,000 an entirely new paradigm will come into existence to support this level of connectivity. Other issues surrounding such a massive scope will need to be addressed: power (even if individual devices use very little power, a trillion of them – at current power consumption levels – will be unsupportable; errors and outdated devices must be accommodated at a truly Herculean scale; the sheer volume of data created will have to be managed differently than today, etc. The next section of this post “The Trinity of functional IoT: Sensors, Actuators & Infrastructure” may be found here.